DanzAbierta, a contemporary dance contemporary, debuting at the Joyce Theatre for its Cuba Festival, tells the story of a country at the crux of rapid transformation. During a short but heart-racing performance last night, they tore vigorously through the stage with raw, vibrant soul, and took my breath away. After President Obama started work to reestablish relations with Cuba and opening communications with the country, friends and acquaintances have been rushing to the island to see Cuba in its “old glory” before the U.S. influence becomes palpable. Will this happen? It’s pretty likely. Is this a bad thing? Depends who you ask. My Cuban-American friends who live in Miami see it as the end of days. And yet, with the lack of basic needs still not being met for the people who live there I think, it may offer some hope. Throughout the performance, the constant state of tension was addressed. The new versus the old Cuba, the real versus the fake, , the have’s versus the have-not’s. 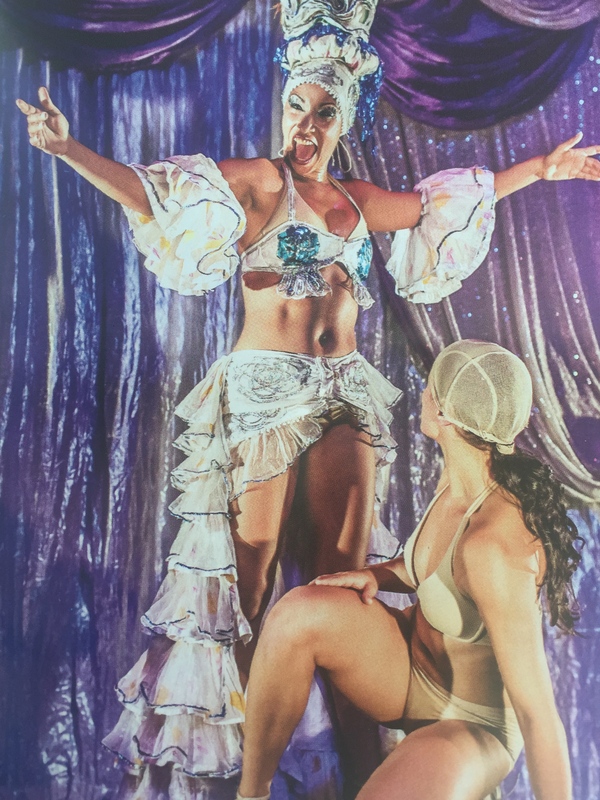 The dancers channeled Celia Cruz and the Cuba we have on our minds. That of salsa music, white ruffles, and exaggerated grins. But what we don’t see, what is hidden behind the curtain (literally in this case because there is a makeshift stage on stage), is the simple and unadorned, the relentless hard work that goes into creating a means of survival. The dancers fight to break free from this powerful force, the one that keeps them alive, but they are always dragged back. The future of Cuba is uncertain. Will it fall victim to Americanization and lose its identity? Or will it be like the phoenix and rise again? We’ll have to wait and see.